It is quite unlikely, but you might be among the few who haven't read The Hobbit novel yet. If so, then you might be groping how the story will turn out for the next installment in The Hobbit movie adaptation trilogy subtitled as The Desolation of Smaug. If you can't wait any more for the movie and yet wanted to know just the jest of what will happen in it, then this one-sheet banner poster of The Hobbit: The Desolation of Smaug is for you. This could very well tell the story in chronological order. And to add in the fun, I'll let you discover each character, place and event in every puzzle piece. Check out this new one-sheet banner poster of The Hobbit: The Desolation of Smaug. 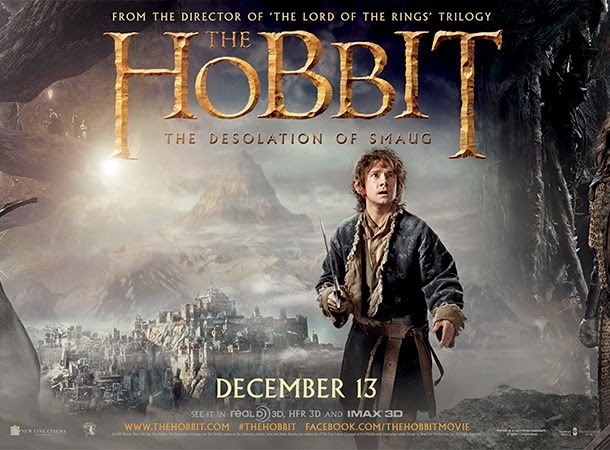 Be ready to be singed alive during the release of The Hobbit: The Desolation of Smaug on December 13, 2013. Discover more about the movie on its official website.